Mercedes G-Class AMG Review and Deals 2019 | What Car? No, we aren’t pulling your leg; this really is the latest Mercedes-AMG G63. Yet while it looks remarkably similar to the original G-Class (née G-Wagen), there have been huge changes underneath that familiar boxy body. That’s for the best, given that the original G-Class was in production from 1979 all the way up to 2018. 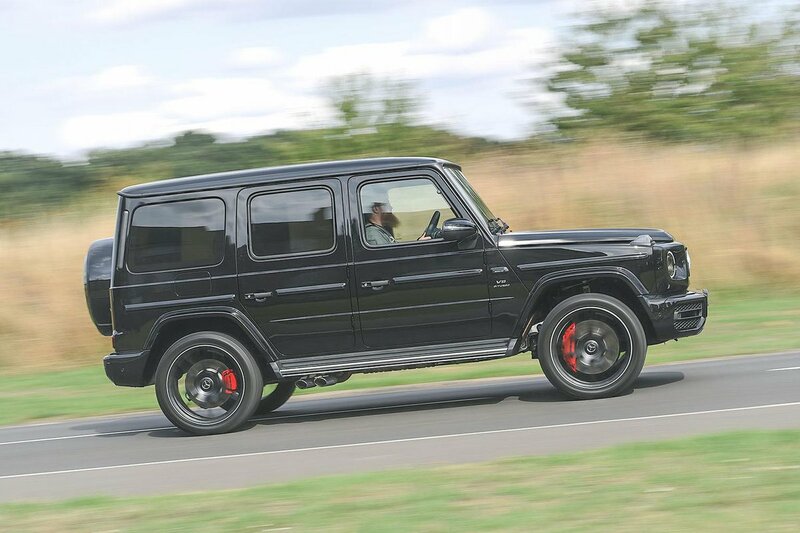 That’s not to say the second-generation G-Class has gone soft. It still has a tough ladder-frame chassis with the body bolted on top, as well as three differential locks for maximum traction and a live rear axle for lots of suspension travel when going off road. However, efforts have been made to reduce weight and, for the first time, it features fully independent front suspension and a more car-like steering set-up, all aimed at improving its on-road manners. 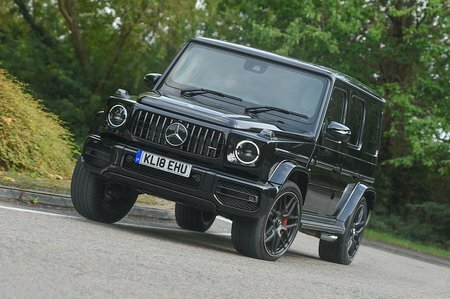 As you’ve probably guessed from the 'AMG' part of its name, there’s something rather special under the bonnet of the G63. Like other AMG 63 models there’s a twin-turbo 4.0-litre V8, here with a whopping 577bhp, to make this huge, angular machine a genuine rival to the Bentley Bentayga W12, Porsche Cayenne Turbo and Lamborghini Urus when it comes to straight-line speed. In many ways the G63 is a unique proposition, though. It does its own thing by offering heaps of old-school SUV charm overlaid with enough luxury and modernity to feel relevant in the today's world. Has it worked, and how does it compare with its prestigious rivals to drive, ride in and own? Read on and we'll let you know, and if you’re ready to buy this or any other new car, have a look at our New Car Buying section for big savings on hundreds of new models.